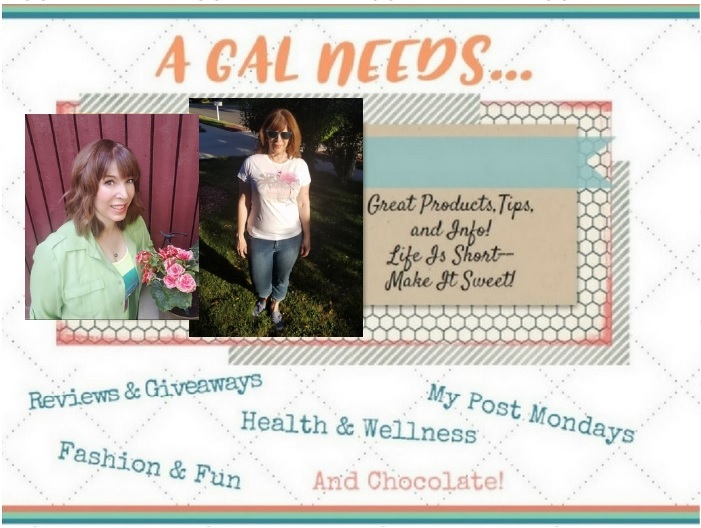 Do you know of a company or store that you just can't leave alone? Because of your obsession with them, they continually get your money because you absolutely love their products? That's what Cariloha is for me! I love their stuff! Time after time, anything I choose, turns out to be amazing! I have reviewed them several times over the past 8 years and I've also bought from them many times! 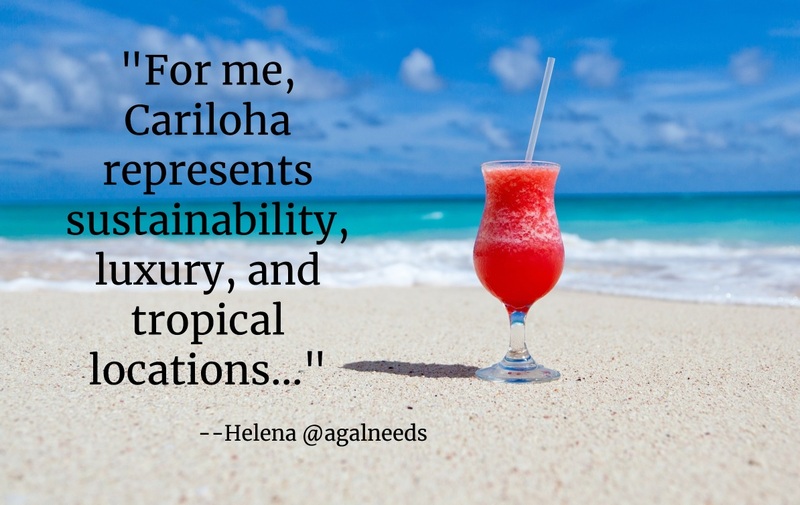 I love everything that they have because it represents sustainability, luxury, and tropical climates (the latter of which I am not privileged to live in, so I fake it)! The name Cariloha is a combination of two tropical locations--the Carribean and Hawaii (think aloha). This site uses affiliate links and non-affiliate links for reference purposes. I was provided product for review purposes. Thanks so much for visiting my site! Up until recently, however, I had never tried Cariloha's bath collection. 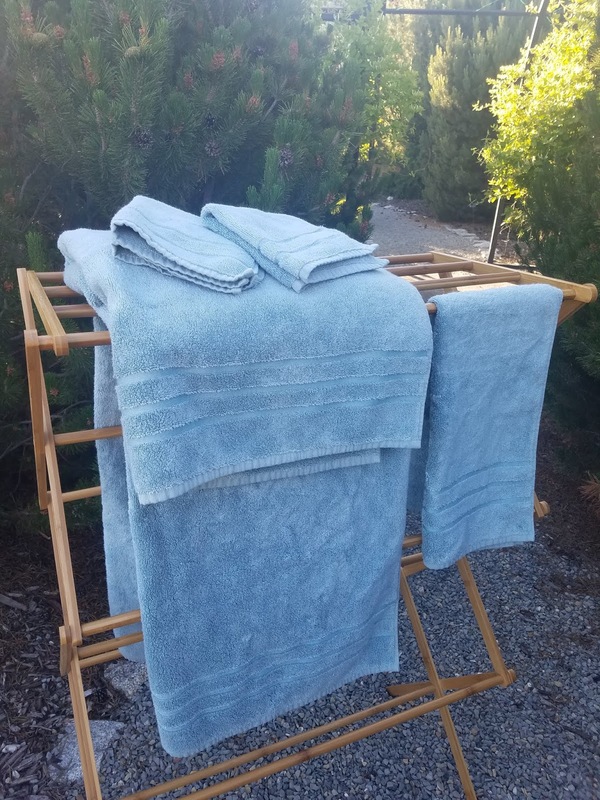 Cariloha weaves their bath towels from a combination of Turkish-combed cotton and bamboo viscose, leaving it feeling so luxurious and soft you feel like you are royalty (without the required etiquette). Having bamboo fibres in the weave of a towel is advantageous because bamboo is naturally odor and allergy resistant. It is also a great moisture absorbant. At around the same time as I got the Cariloha towels, I also acquired a brand-new bath towel from Costco. 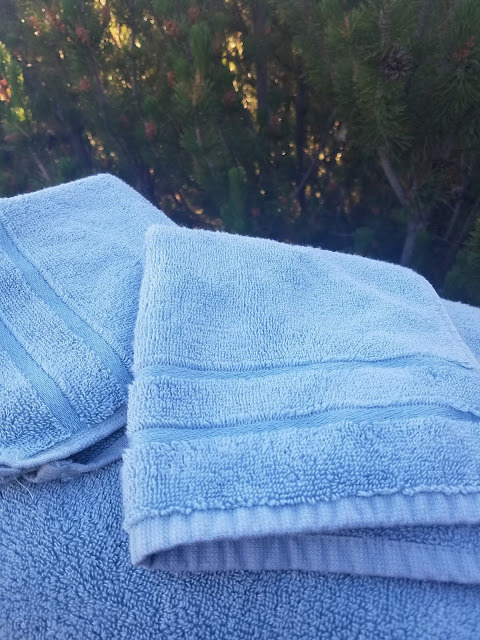 It is almost the exact same color as my Cariloha towels, which are 'Tahitian Breeze', a very beautiful blue. But the difference ends there. The Costco towel feels like a burlap bag in comparison to my Cariloha towels. It's like night and day. I think I'm spoiled now. I won't ever want to go back to a standard bath towel again! I love ordering on the Cariloha website because they are always having some kind of sale! As a matter of fact, you can get up to 75% off on their sale items, which are always listed. I just purchased a couple of sleepwear items, in anticipation of summer sleep weather. Bamboo is going to be just the right thing to sleep in to keep cool. It's probably even better than sleeping in the buff because the bamboo fabric wicks away any moisture from your body which helps to avoid odor, stickiness, or sweat! But I'm not here to tell you how you should sleep, just that bamboo is awesome to sleep in should you decide to sleep in clothes! In addition to any sale going on at Cariloha, I have been given a special discount code for my readers only! It is not to be shared on any 3rd party discount sites!! Just add this promo code at check-out for 20% off on all purchases! GNEEDS5468 Remember that $100 purchases = Free Shipping as well! Good through June 30th!